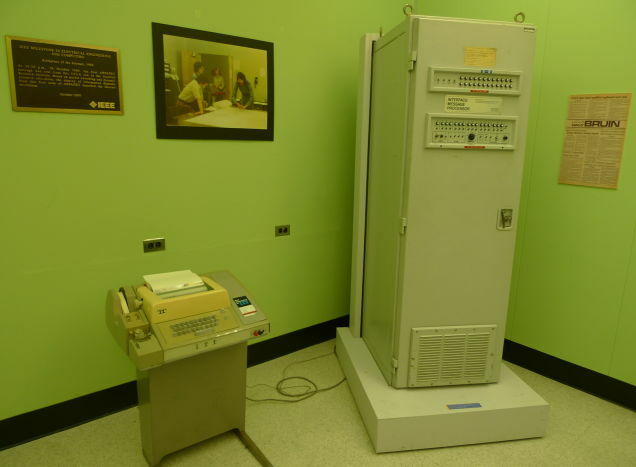 45 years ago today (September 2, 1969), at the University of California in Los Angeles (UCLA), the first Interface Message Processor (IMP), built by BBN, is connected for the first time to its SDS Sigma-7 mainframe, thus establishing the first node of what will become the ARPANET (and later, the Internet), the first wide-area packet switching network. “We cautiously connected and the bits began to flow. The pieces really functioned, just why I still don’t know. Messages were moving pretty well by Wednesday morn. This entry was posted in Computer history, Internet. Bookmark the permalink.